Fraud is everywhere. It’s in every industry, every state, and in every city. In some countries (and U.S. cities), fraud is simply a cost of doing business. The FBI says that up to ten cents of every U.S. healthcare dollar is lost to fraud. In some cities such as Miami or Detroit, that number may be twenty cents on the dollar. Who is often the first to find fraud? Compliance officers, accountants and lawyers. Compliance professionals often hold the keys to the kingdom. They are privy to the timely and important information needed to stop fraud and corporate greed. That’s great when they are empowered to act but what happens when the very people who have hired these professionals are behind the fraud? The United States is unique in empowering whistleblowers to earn cash awards for inside information about fraud and corruption. But can professionals share in those awards? Can a company stop compliance officers from blowing the whistle? The answer is quite complex and involves often conflicting ethical rules. In this eBook, we will look at the various American whistleblower award programs and whether lawyers, accountants and compliance professionals are eligible to receive awards. It’s not all about the award, however. Sometimes the government targets compliance officers who fail to take corrective action. Reporting fraud internally can sometimes be tricky. But what happens if those in the C-suite don’t listen. You may have to make a choice…file a whistleblower complaint with the government and earn an award or keep quiet and risk going down with the ship. In 2015, New York’s Superintendent of Financial Services proposed criminally prosecuting compliance officers who fail to report wrongdoing. The stakes are certainly higher but the moral and ethical responsibilities of compliance workers remain the same. Because this an emerging area of law, we caution readers that these materials should be considered general advice. Each situation is different. If you have questions about your eligibility for an award, simply give us a call. We will gladly speak with you, no charge or obligation. The False Claims Act (sometimes called Lincoln’s Law) has been on the books since 1863. It was passed during the Civil War, hence the reference to Abraham Lincoln. During the war, the Union Army found itself the frequent target of unscrupulous merchants. Vendors were selling the army gunpowder that was diluted with sawdust, wagons with faulty wheels and lame mules. The national government was still quite weak and had little resources to dedicate to prosecuting rogue vendors. Congress and President Lincoln passed the False Claims Act. That law allows private citizens to prosecute claims in the name of the United States. Anyone can now function as a private attorney general if they have inside knowledge of fraud involving government funds. If you work for a company that is defrauding Uncle Sam, you can hire a lawyer and file a suit in the name of the government. You and your lawyer can then prosecute that suit and share any proceeds with the government. Over a century and a half later, that law is still on the books. Last year the government collected $4.7 billion from False Claims Act prosecutions. Relators – the legal term for a whistleblower – received $519 million in award monies. Today, awards are generally 15% to 30% of whatever the government collects. Under the present law, the federal government is given the right to first investigate the case. It can then take over or allow the relator’s counsel to continue prosecution on behalf of the government. In rare cases, the government can ask the judge to dismiss the case. This sometimes happens when the government believes that no wrongdoing has occurred. False Claims Act cases are filed under seal. That means they are secret, at least while the government is investigating. Generally, when the government intervenes or declines to take over, the case is unsealed meaning it becomes public. While there are some strategies to help whistleblowers remain anonymous, we tell everyone to assume their name will be revealed. Some courts permit “John Doe” or third party filings, but those don’t always work and there is always a chance of being called as a witness if the case goes to trial. Because the case is secret, whistleblowers are forbidden by the court from discussing the case with anyone while under investigation. Even if asked by their employer, they cannot admit there is even a pending case. That sometimes puts compliance officer and lawyer whistleblowers in a tough spot. Part of your whistleblower lawyer’s job is to help you navigate through these sensitive ethical issues. Congress understood that whistleblowers might not always receive red carpet treatment. The Act allows courts to reinstate people who were wrongfully terminated and award back pay, front pay, double damages, legal fees and other damages that the employee might suffer. In our experience, many companies know better than to retaliate. Often if they discover the identity of the whistleblower, they will place him or her on paid administrative leave and negotiate a severance package when the case concludes. Many whistleblowers receive enough award money that they don’t need to return to work. Others simply feel it is awkward to return and would rather receive severance. In addition to having “original source” or inside knowledge, there are several other procedural requirements necessary to receive an award. First, there is a public disclosure bar. If the information is already in the public domain, successfully filing a claim becomes difficult. Next, there is also a first to file rule. That means only one whistleblower gets an award. It is possible, however, for multiple whistleblowers to receive an award if each has different inside information. Finally, there is a government knowledge bar. Obviously, if the government is already investigating a wrongdoer, chances of getting an award diminish. Once again, there is an exception if the government’s knowledge is different from the whistleblowers. Another recent exception allows whistleblowers to still seek an award even if the government knows about the misconduct if the whistleblower is the one who first reported the conduct to authorities. This is a common situation with compliance officer whistleblowers. By way of example, assume a compliance officer becomes frustrated with the mortgage company employer. Repeatedly she tells management that loan officers are disregarding HUD underwriting guidelines thus creating a financial risk for the FHA or Fannie Mae. If the compliance officer calls a HUD hotline, there has been a disclosure. The government know has knowledge of the wrongdoing. A 2010 amendment to the False Claims Act allows the compliance officer to subsequently file a False Claims Act compliant because she was the one making the initial report to authorities. The time to file for an award is limited, however, once the whistleblower reports the misconduct through other channels. Looking at the these rules together, time isn’t on your side. 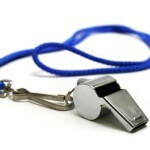 If you plan on filing a whistleblower claim, do so quickly. Nothing is more heartbreaking for us than to see someone sit on the fence for months. When they finally do file, they learn that someone filed just days before them. They take all the risks on being a whistleblower yet might not be eligible for an award. In Part Two we will examine whether accountants, lawyers and compliance officers can receive whistleblower awards under the False Claims Act and the mechanics for doing so. In the wake of the savings and loan crisis, Congress passed sweeping new legislation in 1989 to combat bank fraud. The Financial Institutions Reform, Recovery and Enforcement Act – FIRREA for short – became the favorite tool of prosecutors. The law allows prosecutors to pursue a wide variety of bank misconduct but with an easier burden of proof. The law also has a 10-year statute of limitations. Originally, FIRREA was used to go after bank officers and outsiders who brought down small savings and loans. At one point, half these banks were failing and the old Federal Savings and Loan Insurance Corporation ran out of money to pay depositors. Uncle Sam came through with a bailout but coupled that with powerful new anti-fraud remedies. Once the S&L crisis faded, so too did FIRREA. Although still on the books, the law fell into disuse. That all changed in 2010 on the heels of the 2008 financial meltdown. Prosecutors in Manhattan and California tested the limits of the law and won. Traditionally, the law was used to go after people who threatened the safety of the bank. The logic is obvious. Since the FDIC insures banks deposits, the government has reason to prosecute those whose actions threaten the bank’s solvency. If a bank fails, depositors lose, the government is on the hook for at least some of those losses and public confidence in the banking system is shaken. The actual statutory language of FIRREA applies the law to actions “affecting a federally insured financial institution.” Beginning in 2010, the Justice Department took the position that the bank need not be the victim of the fraudulent conduct. It could be prosecuted directly for its own bad conduct. Other big FIRREA cases included a $7 billion recovery against Citibank and $13 billion settlement with Chase. Like the False Claims Act, FIRREA has a whistleblower award component. We like FIRREA because it pays generous cash awards and has strong confidentiality provisions. The latter is often critical for those hoping to continue a compliance career in the financial industry. Under the law, whistleblowers can receive 20% to 30% of the first $1,000,000 collected, 10% to 20% of the next $4,000,000 and 5% to 10% of the next $5,000,000. That means awards are capped at $1.6 million. In FIRREA cases, maximum awards are common. Collecting an award involves filing a sealed declaration with the Justice Department. No lawsuit is required. And unlike a False Claims Act case that ultimately gets unsealed, the government does not disclose the FIRREA declaration. Like FIRREA, the SEC Whistleblower Program is a newcomer. It was created in 2010 as part of the Dodd Frank Wall Street Reform and Consumer Protection Act. Under the Act, the Securities and Exchange Commission (SEC) is empowered to pay awards of 10% to 30% to individuals who supply inside or “original source” information about securities violations. Because the securities and financial services fields are so heavily regulated, we see many lawyers, accountants and compliance officers looking to become SEC whistleblowers. Many are not even located within the United States. The federal government’s jurisdiction extends well beyond the nation’s territorial borders. For example, a foreign company that sells securities or ADRs on a U.S. exchange are subject to SEC jurisdiction. So is any company that is required to file or register with the SEC. Not only are foreign companies often subject to SEC jurisdiction, they also can often be hit with FIRREA, IRS or False Claims Act penalties. All four programs pay awards to non-citizen whistleblowers. Another piece of the FCPA is a books and records provision. Companies that are fudging financials may also be subject to an SEC whistleblower claim. Like the other major whistleblower programs, the SEC generally follows a first to file requirement as well as government knowledge and public disclosure bars. Basically, the Commission wants to pay awards to eligible whistleblowers who have credible inside information and were the first to come forward. “Eligible whistleblower”? Yes! The SEC is the only agency that has specific rules on lawyers, accountants and compliance professionals as whistleblowers. More on that in Part Two. A final requirement of the SEC whistleblower program is that the SEC must recover $1 million or more before an award can be paid. The SEC Whistleblower Program has strong anti-retaliation provisions and a proven track record of stepping in when companies try to silence or retaliate against whistleblowers. Under the law, private lawyers can also prosecute these violations. Compliance officers and other professionals (auditors, accountants and lawyers) are often hired by a company to monitor compliance with legal requirements. It is not uncommon for one’s job description to require internal reporting of all misconduct and other findings. Does internal reporting effect your ability to collect an award? The answer is generally no and not just for the SEC whistleblower program. The SEC, however, has specific rules about internal reporting. Not only does the SEC allow internal reporting, they encourage it. By allowing you to report internally and still collect an award if the company subsequently self-reports, the SEC gives you the option to try and resolve the problem internally before blowing the whistle. The agency’s internal factors on determining the size of an award give more weight to those who internally report first. The one downside of internal reporting, however, is the risk of retaliation. Despite whistleblower retaliation being illegal, some employers will fire you. Once again, we can help you make an informed decision as to whether you should self-report. If you do self-report, remember you must still promptly file with the SEC if you hope to receive an award. More on these rules in a few minutes. Sometimes we are asked by accountants or compliance officers if they can get an award for cooperating with the SEC or helping the agency by providing them new or additional information. The SEC requires the original submission to have been “voluntary.” They define voluntary very narrowly. To qualify for an award, you must submit your information before being asked by the SEC, Public Company Accounting Oversight Board, a self-regulatory organization, Justice Department, other federal agency or state attorney general. Some believe “voluntary” means not being subpoenaed or compelled to testify. It does not, at least under the SEC program. Once the agency begins investigating, it may be too late to qualify for an award. There are three things in the world that deserve no mercy, hypocrisy, fraud and tyranny. The IRS Whistleblower Program has been around as long as the False Claims Act. It even predates the federal income tax. In 1867, the Secretary of Treasury was authorized to pay whistleblower awards “for detecting and bringing to trial and punishment persons guilty of violating the Internal Revenue laws. Despite the law, the program was virtually dormant until 1996. Until 1996, the IRS had to pay awards from appropriated funds. Absent a Congressional budget appropriation, there was no money to pay awards. And in fact, for over 100 years there were virtually no awards paid. In 1996, Congress changed the law to allow whistleblower awards to be paid from the amounts collected from the wrongdoer. That still wasn’t enough. Despite Congress’ clear intent to pay awards, the IRS was resistant to the idea. So resistant that it was impossible to find any information about the program on the Service’s website and there was no central record keeping or program management. The Treasury Department’s own inspector general harshly criticized the agency for doing nothing to promote the program and make it successful. Congress heard the complaints and passed the Whistleblower Program Tax Relief and Health Care Act of 2006. Included in the legislation was a mandate to make the program user friendly. The new program created an IRS Whistleblower Office. Within the first year of the program, 112 applications were received. The number today is in the thousands. Under the current program, whistleblowers can receive awards for inside information about both evasion of reporting and evasion of payment. If a taxpayer keeps two sets of books, he or she is probably trying to avoid reporting income. If a taxpayer hides assets offshore, he may be trying to avoid payment. Either way, both are against the law and both are eligible for whistleblower awards. Under the new program, whistleblowers can receive awards of between 15% and 30% of whatever the IRS recovers from the wrongdoer. Whistleblowers can go to U.S. Tax Court if they feel they were wrongly denied an award. There is a requirement, however, that the amount in controversy exceeds $2 million (inclusive of interest and penalties) or that the taxpayer has taxable income of $200,000 or more. In simple terms, you can submit an IRS whistleblower claim no matter how large or small but the enhancements only apply to larger cases. Unfortunately, that IRS simply doesn’t have the resources to pursue every person who pockets a few bucks under the table. The largest whistleblower to date was a $104 million award to Bradley Birkenfeld. Bradley was the whistleblower who helped the government take down Swiss bank UBS. UBS paid almost a billion in fines and Bradley himself was sentenced to over 3 years in prison for his role in the scheme. His prosecution started a huge debate within the whistleblower community. Should People Who Participate in Fraud Be Eligible for an Award? Birkenfeld’s prosecution started a big debate both with the whistleblowing community and even between federal law enforcement agencies. As a senior manager at UBS, Birkenfeld had direct knowledge of UBS helping wealthy Americans avoid IRS obligations by hiding money in secret Swiss accounts. He ultimately decided to come clean and cooperate. The SEC and IRS welcomed his cooperation. The Justice Department was not as receptive. As a former prosecutor and agent, I know that some of the best whistleblowers are the people committing the crimes. Think of how many mafia cases were brought only after a crime family member agreed to cooperate. For years afterwards, even line workers who were mere pawns in a much larger scheme were reluctant to come forward. Why report wrongdoing if you might go to prison. Could a compliance officer who is forced to lie on a form go to jail. Should he or she come forward? The new ethical dilemma centers on whether compliance officers who remain silent in the face of fraud should be prosecuted for fraud. New York state recently signaled an intention to begin looking at charges for those that don’t report wrongdoing. Today, the various whistleblower laws or programs all make provision for those folks who may be technically guilty of a crime. Unless you are the kingpin or mastermind of the illegal scheme, you are probably eligible for an award and won’t go to jail. We can help you navigate those thorny issues with the various agencies before filing a claim on your behalf. Like the SEC program, you don’t need a lawyer to seek an award. Trying to this alone, however, is pennywise and foolish. We and most other good whistleblower lawyers charge a contingent fee to handle whistleblower cases. That means you owe no costs or legal fees unless you collect. In 2014, the IRS received over 14,000 tips. Just 101 awards were made. Are you aware of those statistical odds? That is just 0.07 percent. How does a lawyer help? Good question. The vast number of claims are filed without a lawyer. They get mailed in and sit in a file room hoping that someone will have time or take an interest. Obviously, the numbers don’t lie. Very few of those cases get prosecuted. Once we filed, we work with the Service to keep attention on the case. Roughly 30 states have their own false claims act. In many states, these laws are applicable to state funded Medicaid. In others, the law extends to any fraud involving state funds. In a select few states, the law extends to tax claims (Illinois, New York and California). In many states the law also extends to political subdivisions. That means if you have knowledge of scheme defrauding Chicago or San Diego County you may also be eligible for an award. Finally, a few cities and counties have their own whistleblower ordinances that may offer larger awards or more coverage than offered by the state. If you have inside knowledge of fraud, we are happy to see if you are eligible for an award and what anti-retaliation protections are available. California and Illinois have unique laws that allow whistleblowers with inside information about private insurance fraud to earn awards. Under the federal and state False Claims Acts, there must be a loss to government funded healthcare dollars. That means Medicare, Medicaid, Tricare and VA benefits. Much of healthcare costs are covered by other insurance, however. A company or individual that defrauds private insurance companies can also be ordered to pay large whistleblower awards under these laws. And the laws extend beyond health insurance. By other types of insurance, we mean both private health insurance (Blue Cross, Anthem, etc.) and non-health related insurance such as workers compensation and automobile insurance. In California, the California Insurance Frauds Prevention Act pays awards of up to 50% of whatever is recovered from wrongdoers! There are other laws that pay awards to whistleblowers. For example, the Motor Vehicle Safety Whistleblower Act may be an ideal opportunity if you work for an automaker or auto parts supplier and have information about unreported safety defects. The international MARPOL Treaty and Act to Prevent Pollution from Ships pays awards for information about dumping oily sludge at sea or in port. Before moving to the next section, it is important to discuss fraud hotlines and how they impact whistleblower awards. So why do people use hotlines and online reporting forms? They are easy and anonymous. Unfortunately, they aren’t even effective at stopping fraud. We have spoken with dozens of regulators and agents, they tell us that they receive tens of thousands of reports and just don’t have the time or resources to investigate most of them. There is also a perception that the online forms and hotlines are used “in the heat of the moment” (revenge) by disgruntled workers or jilted lovers. Even the SEC whistleblower program which maintains a robust online whistleblower reporting platform, doesn’t issue many awards to forms filled out on line. With such limited resources, government agencies prioritize claims that are hand filed with an agent or program administrator and are thoroughly written up and “field ready.” Under the False Claims Act, you can’t receive an award unless the case is filed under seal and in court. Before you pick up the phone and dial a hotline, call us first. Often the people with the most and best information within an organization are folks within compliance. This broad category includes quality assurance workers, lawyers, accountants, outside consultants and regulatory affairs folks. By the nature of their professions, they may have special ethical duties not shared by other workers or managers. Because they know so much, some unscrupulous companies will go to great lengths to silence them. The flip side of the coin, of course, is that because they know so much, regulators and prosecutors often put great weight on what they say. It should therefore come as no surprise that many of the most successful whistleblowers were compliance workers. In 2012, Sherry Hunt was awarded $31 million for reporting fraudulent mortgage underwriting and appraisal practices at CitiMortgage. Her job? She was a mortgage quality control manager. Dinesh Thakur was a U.S. educated compliance professional working for Ranbaxy Laboratories, a large generic pharmaceutical company located in India. When he discovered problems with potency and testing protocols, he reported his findings to the head of research and development, the unit where he was assigned. His boss brought the information up the ladder. What happened next is disheartening. Instead of being rewarded for reporting his concerns, the company’s board of directors ordered Thakur to destroy any evidence. He didn’t. Instead he filed a whistleblower complaint under the False Claims Act. In 2013, he was awarded $48,687,000.00 by the United States Department of Justice. In the pages below, we examine some of the concerns unique to compliance whistleblowers. The place to start is with the need for inside information. All the whistleblower programs generally require that the person seeking an award have inside information. Some programs say that you must be the “original source” of the knowledge. But what does this mean? Let’s look at some of these terms and analyze the original source rule in more depth. The False Claims Act calls this the “public knowledge bar.” Basically, if you read something in the newspaper or see it on TV, you can’t use that information to collect an award. As a compliance professional, you may not be the mortgage underwriter who is fudging applications or the pharmaceutical line worker who fails to complete required testing on selected lots of pills. But if you gain the information through your observations and duties, you still qualify as a whistleblower. The independent analysis component is relatively new and results from today’s digital technology age. Most whistleblower programs say you are eligible if you examine and evaluate data that may be publicly available, but which reveals information that is not generally known or available to the public. Let’s use an example. For the last several years, the Centers for Medicare and Medicaid makes available its database of healthcare claims. Patient names are redacted of course. The database literally has billions of transactions data. These exclusions certainly appear to prevent audit and compliance professionals from seeking award or even reporting the wrongdoing to the SEC. Another SEC rule, however, makes an exception to the exception. Even if employed as an auditor, you can still report if you have “a reasonable basis” to believe that disclosure is necessary to prevent substantial financial harm. Another exception allows reporting if you have a reasonable basis to believe that the organization “will impede” an investigation. Until you read the entire rule, the rule suggests that auditors and compliance officers are not eligible for the program. Indeed, the Chamber has questioned the ethics of paying awards to employees whose job it is to ferret out wrongdoing. They say we shouldn’t pay awards to people for simply doing their job. In practice, however, the opposite is true. The agency broadly construes the exceptions to the rule. Although some compliance officers may be ineligible, the SEC encourages whistleblowers to come forward. Less one consider this an isolated incident, in May 2015 the SEC announced a $1.5 million award to a “compliance professional” for reporting misconduct by his employer. Few details have been released because the Commission goes to great lengths to protect the identity of whistleblowers. We can share, however, that the whistleblower who received the award had reason to believe that disclosure to the SEC was necessary to prevent imminent misconduct from causing substantial financial harm to the company or investors. Since we first wrote this piece, the SEC has now awarded a compliance professional $30 million. Once again, the details are shrouded to protect the identity of the whistleblower. The SEC has sent a loud and clear message to the corporate community, however. Its doors are open to compliance professionals who follow the special rules. There is a third “exception to the exception.” If an auditor or compliance person first report internally and nothing happens within 120 days, he or she can also file with the Commission. The discussion above relates to compliance officers and auditors filing SEC whistleblower complaints. What about False Claims Act lawsuits, IRS whistleblower complaints and FIRREA claims? The other programs don’t have the same rules as the SEC or have no rules regarding compliance officers. That means there are no major impediments for these folks to seek awards. If you are unclear as to whether you can file a whistleblower claim, just give us a call. We have encountered three situations in which companies try to prevent compliance officers from becoming whistleblowers. The first situation can be classified as simple misinformation. Some companies tell compliance officers that it is illegal to report externally or become a whistleblower. We call that both misleading and a half truth. As noted above, the SEC whistleblower program has a general prohibition for certain audit and compliance professionals from participating in their program. That prohibition does not extend to FIRREA, False Claims Act and IRS claims. 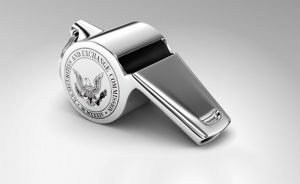 Remember too, that even with the SEC program, whistleblowers can still participate if the violations they seek to report represent a risk of substantial injury to the company or investors, if there is evidence of a cover up or if they first reported internally and the problem was not promptly corrected. Some companies have corporate policies that simply don’t allow outside reporting. Those simply aren’t legal, although a company can act to prevent the disclosure of trade secrets and certain other information. Think of it this way, if you and I sign a confidentiality agreement and I then shoot someone, are you prohibited from calling the police? Of course not! But some companies say that an employee runs the risk of forfeiting a pension or losing their job by reporting. This is another reason why it is important to consult with an experienced whistleblower lawyer before taking any action. In the last example, companies condition employment or receipt of severance benefits on the employee not profiting from whistleblowing. The difference is subtle but important. Whereas a company can’t prevent an employee from reporting wrongdoing, some companies have the employee contractually agree not to accept an award. Unfortunately, some jurisdictions recognize these waivers. For lawyers, deciding whether to blow the whistle is a much more complex process. Since the birth of our nation, we have believed that the attorney-client privilege is sacred. The United States Supreme Court has long held that by assuring confidentiality, the attorney-client privilege encourages clients to make “full and frank” disclosures to their attorneys, who are then better able to provide candid advice and effective representation. The common perception is that no one would confide in their lawyer if they thought the lawyer could disclose their confidences to authorities. The attorney-client privilege is not absolute, however. Most states have an exception to the attorney – client privilege if the lawyer is involved in a crime. That certainly makes sense. If you help a neighbor rob a bank, you are acting as a bank robber, not a lawyer. But being a participant in a crime carries its own risks. Risks such as a criminal prosecution and being precluded from an award because of participation in the wrongdoing. Some lawyers and other who are engaged in wrongdoing still decide to come forward. They don’t want to spend their life looking over their shoulder. If that describes you, be sure you talk to us blowing the whistle. It is important to work out terms with prosecutors before your identity is revealed. Yet another exception is for attorneys that report on-going fraud or crimes. These exceptions vary widely state by state. And often we find corporate lawyers are admitted to the bar in a state different from where they work. In that case, thorny issues arise as to which state’s law applies. The SEC has promulgated their own rules for lawyers who seek to blow the whistle. These rules have limited applicability and are primarily designed for lawyers representing issuers of securities. But what happens if the CEO or general counsel doesn’t appropriately respond? According to the rules, the reporting lawyer shall next go to the company’s audit committee or board of directors. Notice the above rule says, “may reveal.” Under the rules, lawyers working for issuers must report certain violations internally but may reveal them to the SEC if no action is taken by the company. Why the difference? Unfortunately, the SEC reporting rules does not supersede state bar rules. The state supreme courts have the exclusive authority to regulate lawyers. It is certainly possible that an attorney could legally report wrongdoing of his employer to the SEC yet still lose her license to practice law for violating client confidences. In these situations, one must still find an exception to the privilege under state law prior to reporting. The SEC rules for attorneys are far more complex than as summarized above. We can help you if you find yourself in the unfortunate situation of working as a lawyer for a dirty company. It can be tricky at times trying to both maintain your law license and protect the public or investors. You don’t need to be a lawyer to possess attorney – client privileged information. And all the whistleblower programs preclude the use of the use of privileged information. The SEC and IRS specifically prohibit use of privileged information while case law in other programs leads to the same result. But what is attorney – client communication? Guidance and directions coming from the company’s legal guidance probably is privileged. We know some companies, however, that make it a policy of copying every email or memo to or from someone in the legal department. Simply because a lawyer is part of an email thread doesn’t mean the communication is tainted. Can a lawyer file a whistleblower claim if she uses non-privileged information? We have had just one of these cases, in ruling that the lawyer was not entitled to receive an award, the court never addressed this argument, however. In our opinion, a lawyer can still become a whistleblower if a case can be built on non-privileged information. Doing this, however, requires a great deal of work. Generally, the whistleblower and his counsel must do that work on the front end. Submitting anything that is privileged often results in an immediate rejection of the application. Usually the agency charged with investigating the claim will simply return the entire package. In other words, they won’t make privilege determinations and don’t even want to have privileged information in their possession. Beyond the ethical considerations noted above, the SEC and IRS rules don’t differentiate between a lawyer who works for a company or works for an outside law firm representing the company. The ethical obligations are the same. And what about accountants? The same SEC rules that apply to compliance officers also apply to internal auditors, many of whom are accountants. See Audit & Compliance Professionals as Whistleblowers above. They have internal compliance or audit responsibilities. Remember, however, that there are three broad exceptions to this rule. Those exceptions allow disclosure to prevent “substantial injury” to the company or investors, disclosure if the company is impeding investigation or disclosure if the misconduct was first reported internally and 120 days has elapsed. CPAs who receive information about violations of a client or officers through an engagement required under the federal securities laws are not eligible to receive whistleblower awards. The SEC included this exclusion so as not to undermine the legal duty that auditors have under Section 10A of the Securities and Exchange Act of 1934. That section says auditors must first report up the chain of command. If the issues are not fixed, the auditor must then resign and can then report to the SEC. Thus far we have looked at the accountant’s duties under the SEC rules. But what about the other whistleblower programs and the AICPA Code of Conduct? The AICPA most recent code of conduct for accountants was adopted in December of 2014. The code is largely advisory as no one is required to be a member. Many states have adopted the code or at least parts of it. If you are in such a state, the code has more teeth. In this short presentation, we cannot look at every state code and how that code has been interpreted. Call us, however, and we will be happy to see whether you qualify. Generally, CPAs should not disclose confidential information without the consent of the client. What client would consent to allowing their accountant to blow the whistle, however? Probably no one. But other sections of the code suggest it is not applicable if the client is breaking the law. The code’s preface contains a “Breach of Independence” section. That section (0200.020.06) allows an accountant to act when an ethical breach is detected. We are not aware of any accountant whistleblower who was denied a whistleblower award because he or she didn’t first warn the wrongdoers of their noncompliance. Like the SEC, the IRS publishes few details about whistleblower awards because of their desire to protect the identity of whistleblowers. The lack of published details, however, makes it difficult to know if Circular 230 has been used as a reason to not issue an award, or worse, sanction the whistleblower. When representing accountants and lawyers in IRS whistleblower actions, we strongly urge careful attention to the often overlooked Circular 230 mandates. Just like civilian compliance officers have a front row seat to fraud and corruption, so do regulators and government contract specialists. Believe it or not, most government employees can receive awards. There are important exceptions for prosecutors, certain law enforcement officers and SEC personnel. Government whistleblowing is a separate topic. Just know, however, that simply because you work as a government compliance officer doesn’t mean you can’t receive an award. Compliance professionals, lawyers and accountants are often the first to find misconduct and fraud. When companies won’t clean up their act or steal from the public, everyone suffers. Some of the largest whistleblower awards have been paid to folks just like yourself. People who took the next step when their boss or company wouldn’t. In certain situations, you may have to act to avoid becoming liable yourself. The ethical and legal rules that apply to compliance folks may sometimes appear complex. You may be wondering what you can and can’t do or even, what you should do. We are happy to shoulder some of that burden. We never charge for consultations. or by phone at (414) 704-6731 (direct). All inquiries protected by the attorney client privilege and kept strictly confidential. SEC, IRS, FIRREA, False Claims Act and other whistleblower cases handled on a contingent fee basis. If we don’t win, you don’t pay.